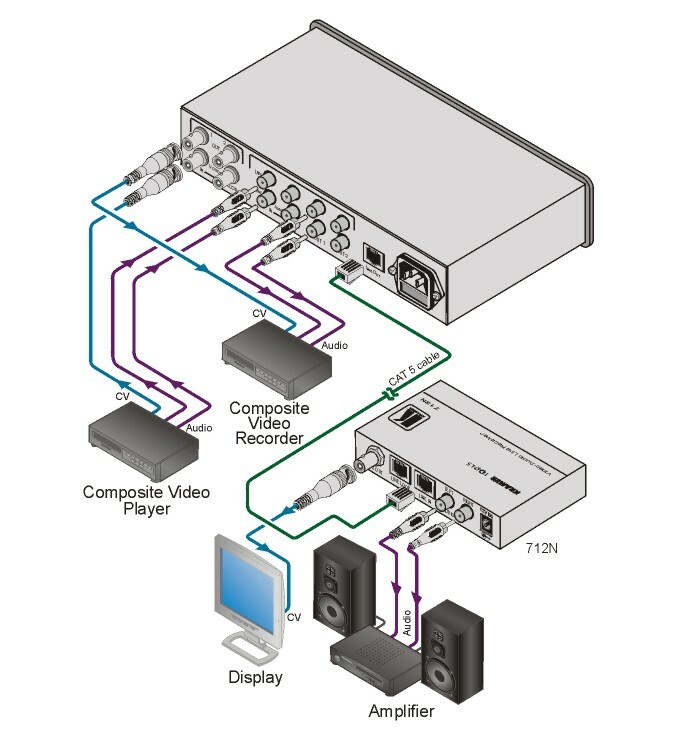 The VM-9T is a high-quality distribution amplifier for composite video and unbalanced stereo audio signals. It inputs one signal, provides correct buffering and isolation and distributes the signal to two identical outputs and one twisted pair output on an RJ-45 connector. High Bandwidth - 350MHz (-3dB). Level (Gain) & EQ (Peaking) Controls - Recessed trimmers to prevent tampering. System Range (Twisted Pair) - More than 500m (1500ft). Greater distances possible depending on signal resolution and cable. Cable (Twisted Pair) - UTP (unshielded twisted pair) or STP (shielded twisted pair) such as CAT 5.